This is not a recipe post (for the first time in this site). I just want to share with you (pictures only though) what I always buy when I go back to my hometown in Pontian Kechil, Johor, Malaysia. 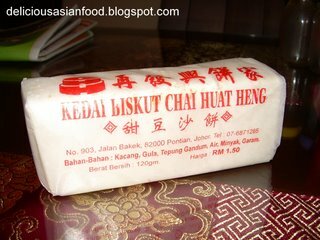 I’ve been eating this confectionary…or biscuit (if it is classified as biscuit) from the most famous confectionary shop in Pontian Kechil – Kedai Biskut Chai Huat Heng, ever since I was a kid. Not everyday, of course but at least once a year if I can get my hands on them. We call this biscuit…or confectionary…let’s just call it biscuit for ease of blogging, Ko Ah. Don’t ask me what it is called in English ‘cos I don’t know. I only know it is the very delicious Ko Ah. It is sold in packets like what you see in the first picture above and has 6 pieces on every pack. The ingredients that go into it are beans (I wonder what type of beans), sugar, flour, water, oil and salt. 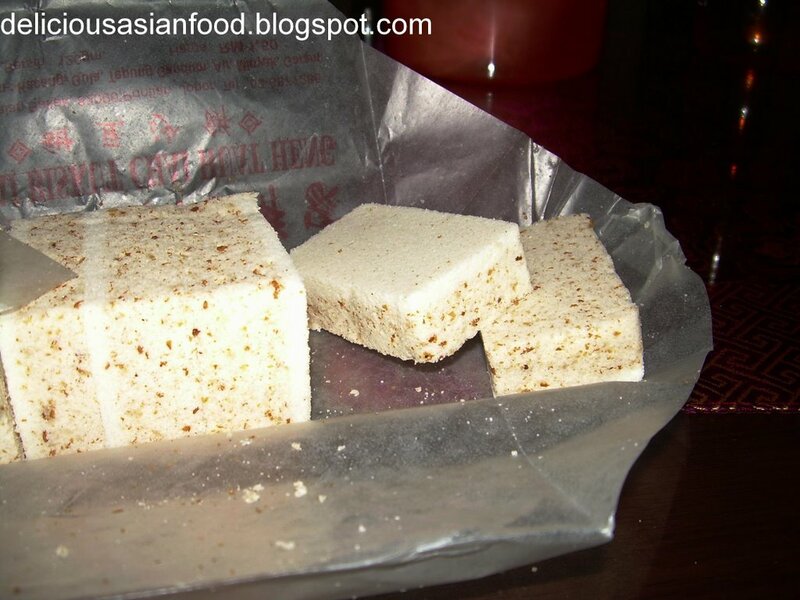 I always thought it also contains sesame seeds as there are tiny brown specks in the biscuit but it is not stated so in the list of ingredients. Well, I will describe it as sweet with a hint of saltiness. The texture is slightly crumbly. 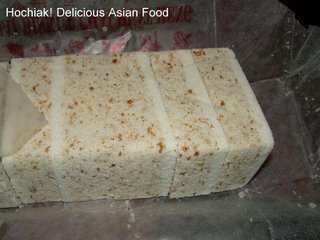 Definately Delicious Asian Food!